So, in this video, we're going to share the day we had to drive to Gangnam, in Seoul South Korea for Amy's brackets to be put on. Since it was also Aaron's birthday, we went ahead and planned to go do something neat with him, too! Amy's braces were set up rather quickly and in no time flat, the boys were all packed up and ready to head out from the dentist's office in search of adventure. Lucky for them, we hit a wrong turn and ended up on K-Star Road! This street in Korea was so neat. It had the ability to make me feel like a rich kid and a poor kid at the same time. 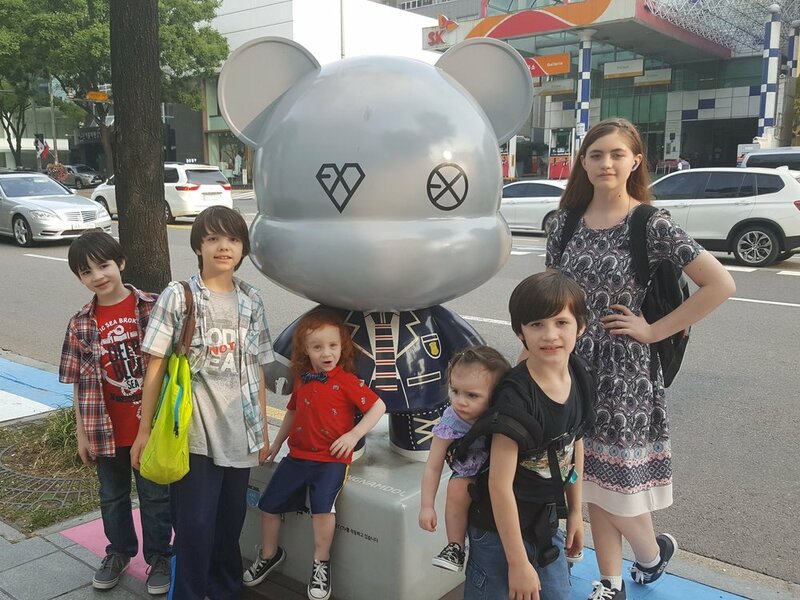 Not only did we see nifty K-Pop themed bears, but, we also saw stores for Michael Kors, an entire mall with stuff so expensive I told the kids not to make eye contact, put their hands in their pockets and keep on trucking! It was all in good fun, but, seriously... they didn't even have a food court! 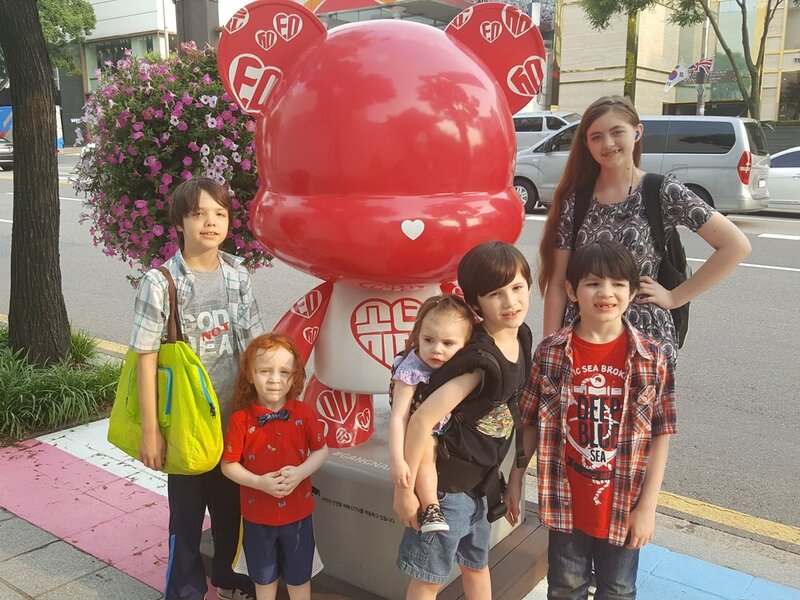 Despite the heat, the kids had a lot of fun and we tried to stay in the shade of the gigantic Gangnam stores whenever possible. Thanks for reading the blog and don't forget to subscribe and follow us on Youtube, Facebook, Instagram and Twitter.